Posted in: St. Louis Cardinals. Tagged: Cardinal, Houston Astros, Joe Strauss, Rob Johnson, Tony Cruz, Yadier Molina. Yadier Molina has returned to the lineup for tonight’s game against the futile Houston Astros. Speaking of futile: Ty Wiggington is already gone. As hinted by Joe Strauss earlier today, the Cardinals have decided to release Wiggington. They are still responsible for the remainder of his contract. Mozeliak knew he needed bench help last offseason, and we all agreed. But signing a guy like Wiggington for TWO years at 5 million doesn’t make a lot of sense. It was a head scratcher, and a rare whiff by the front office. The Cardinals have decided to call up catcher Rob Johnson from Memphis. A former Met, Rob is hitting .236 with a .395 slugging percentage. He has hit 7 HRs and 32 RBIs. 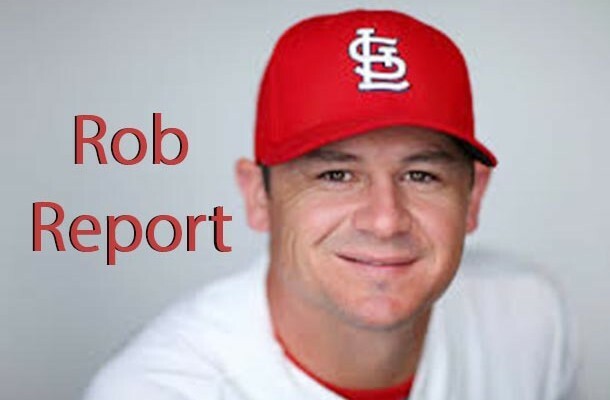 Rob Johnson will serve as the 3rd catcher as Molina tentatively comes back. He has plenty of experience and the pitching staff should have no problem with him. This could just be temporary, but my guess is that Tony Cruz will fill that “Wiggington Role”. He can play 1st base and the corner outfield spots. Cruz put together some nice AB’s while Molina was out and, at least for now, he will fill that bench role.